CENS had a busy October, having attended more than seven international trade shows to promote buyer guides to help manufacturers, exporters and traders to build global presence, including INTERMOT, Tool Japan, Orgatec Cologne, HK Lighting Fair, PTC Asia, KOAA, and IPF Japan. INTERMOT is a leading international motorcycle, scooter and bicycle fair held biennially in Cologne, Germany, which this year, held Oct. 1-5 at Cologne Exhibition Center, drew abound 960 exhibitors, of which nearly 70% from 37 countries. 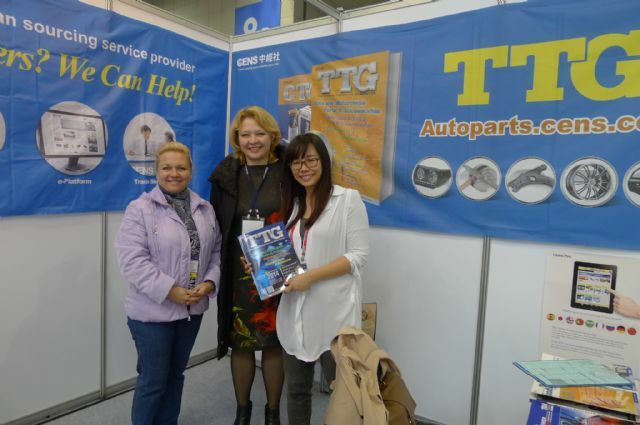 CENS representative (center) with visitors at INTERMOT. 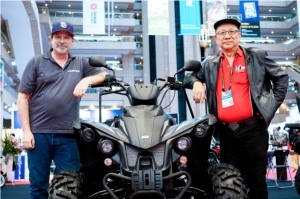 A full gamut of two-wheeled vehicles were displayed, including motorcycles, electric-powered bikes and exercise bikes as well as sidecars, trailers and a broad range of parts, accessories, machines, tools, related equipment and raw materials. The gross exhibition space was approximately 118,000 square meters plus an additional 70,000 square meters of outdoor space. 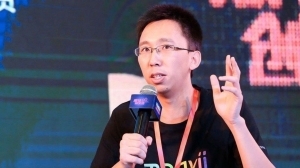 The five-day event attracted more than 200,000 buyers and visitors from both home and abroad, of which 42% from about 105 countries to have maintained the fair's high internationality. “INTERMOT is an extremely important platform for showcasing innovations as well as being able to pick up directly on customer's interests. The phenomenal response both to our brand and our ‘Scrambler' models enables us to look to the next season with great confidence and anticipation,” says Walter Bauer, managing director Ducati Motor Germany. 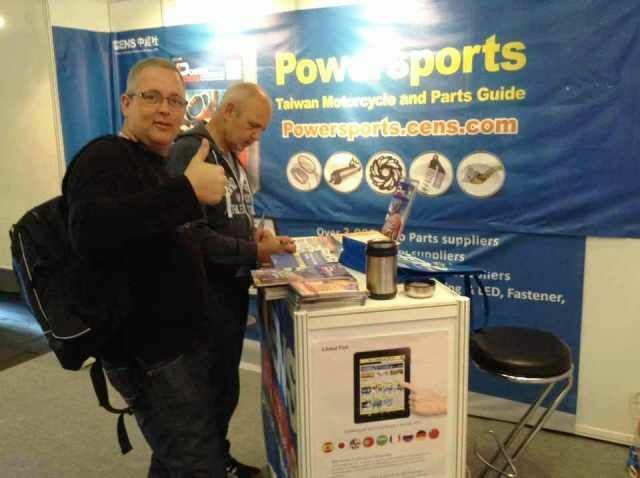 Foreign visitors browse CENS publications at INTERMOT. “Once again, INTERMOT has lived up to its reputation as the leading international motorcycle trade fair. Every two years it proves itself to be an ideal platform for gaining an overall view of the market and making industry contacts. But perhaps the most important plus factor for us is the direct connection with the end customer,” notes Christian Arnezeder, managing director of Harley-Davidson Germany, Austria and Switzerland. The CENS booth displayed a variety of sourcing guides at the fair, with Taiwan Transportation Equipment Guide (TTG), China Transportation Equipment Guide (CTG) and Taiwan Industrial Suppliers (TIS) being the most welcome. The International Hardware & Tools Expo Tokyo (Tool Japan) is Japan's only international trade show specializing in tools, being a truly international show to gather tool-sector professionals from all over Japan, Asia and the world to build business in Japan and Asia. CENS booth draws many visitors at Tool Japan. 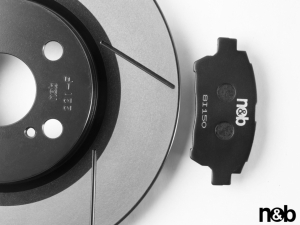 As well as finding new tools from all over the world, with growing tool imports into Japan, the show is ideal to take new orders from Japanese importers & chain retailers, find local agents & distributors, and conduct OEM negotiations with manufacturers & retailers in Japan. Tool Japan 2014, held Oct. 15-17 at Makuhari Messe, Tokyo, drew 1,424 exhibitors from some 20 countries, which presented a wide variety of tools as repair, maintenance and assembling tools—drivers, spanners, pliers, wrenches, hammers, impact drivers impact wrenches etc. ; carpenters' tools—saws, planes, scales, pincers, all kinds of woodworking tools, etc. ; landscaping & forestry tools—brush cutters, lawn mowers, blowers, sprayers, etc. ; workers' gear & safety equipment—work wear, helmets, protective footwear, gloves, tool boxes, etc. 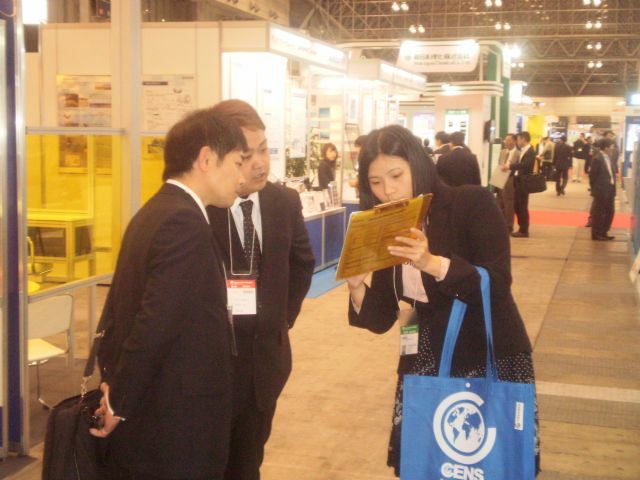 CENS representative (center) with visitors at Tool Japan. Quite a few leading Japanese and American tool manufacturers were on-hand in sizable stands, namely Makita, Black & Decker, Hitachi Koki, Ryobi and ARS, while overseas brands such as Knipex (Germany) and PB Swiss Tools (Switzerland) were showcased in distributors' booths. 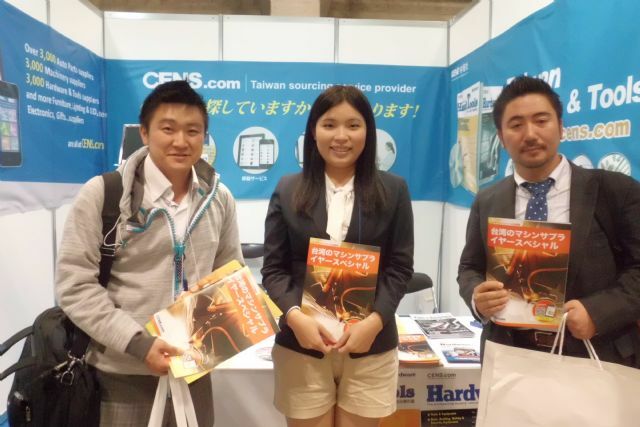 CENS sent a local representative to promote its trade magazines, with CENS Hardware, Guidebook to Taiwan Hand Tools, and Taiwan Industrial Suppliers capturing ample attention among visitors and buyers. The Orgatec in Cologne is the world's leading trade fair for office and facility. Orgatec 2014, held Oct. 21-25 at Cologne Messe, Cologne, Germany, created positive results particularly in internationality and quality as well as range and diversity of products and services. With more than 50,000 visitors from over 120 countries, the fair this year posted a slight increase in visitor figures on 2012, due mainly to the growth of 7% in international visitors. In addition, the fair recorded a significant, double-digit increase above all in visitors from the Middle East, North America, North and South Africa and China. Visitor figures from within Europe were also up, particularly those from Turkey, Italy and Spain. A total of 624 exhibitors were in attendance, with 66% being from abroad to underline the fair's international importance. The venue was divided into four segments—Orgatec Office, Orgatec Contract, Orgatec Space, and Orgatec Mobile. 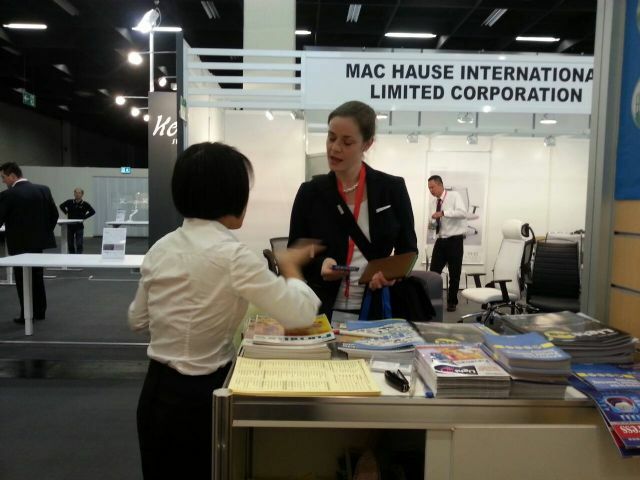 CENS representative (back to camera) helps a buyer at Orgatec. The fair presented integrated solutions and comprehensive concepts for everything connected with office as working and living environment. 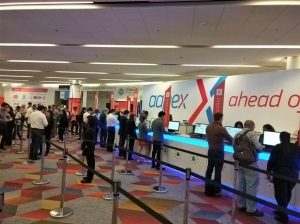 Nearly all of the market-leading companies and extremely high-quality products displayed from the furnishing, lighting, flooring, room acoustic and media technology segments generated great deal of interest among visitors. CENS booth caught ample attention with its buyer guides, with CENS Furniture, CENS Lighting, CENS Hardware, Guidebook to Taiwan Hand Tools, and Taiwan Industrial Suppliers drawing considerable attention among visitors. The Hong Kong International Lighting Fair (Autumn) is the world's second largest lighting fair and this year's, held Oct.27-30, 16th edition presented advertising lighting, commercial lighting, household lighting, LED & green lighting, lighting accessories, parts & components, outdoor lighting, smart lighting & solutions, testing, certification & inspection, along with Hall of Aurora for branded lighting. 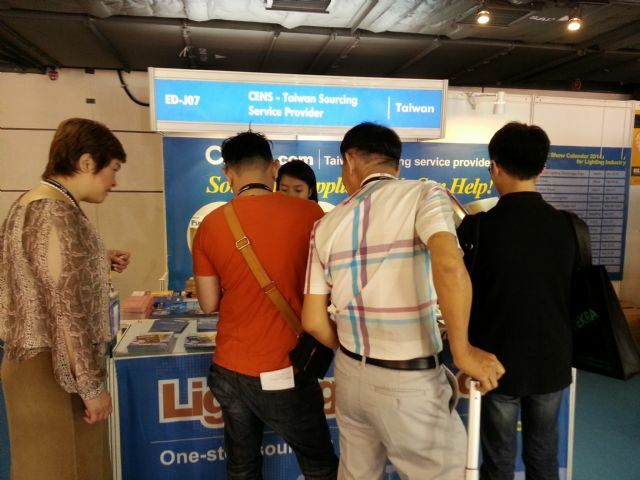 CENS representative (right) serves a foreign buyer at HK Lighting Fair. Some 2,492 suppliers from 37 countries were on-hand that drew approximately 37,000 buyers and visitors from 135 countries in four days. 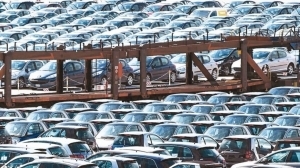 Although the overall attendance slightly decreased from last year, yet buyers from Italy, the U.K., the U.S., Mexico, and Turkey showed an uptrend. 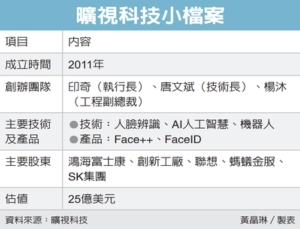 The Hong Kong Trade Development Council (HKTDC), the organizer, surveyed 613 exhibitors and buyers on prospects of the 2015 market, to which over 90% said business would remain stable or improve. This year most of exhibitors and buyers expressed satisfaction with the fair. CENS booth attracts many visitors at HK Lighting Fair. CENS organized a large exhibition group to the fair, as well as manning its own booth to not only serve group members, but also promote sourcing magazines, with CENS Lighting being a major attraction. PTC Asia, debuted in 1991, is a leading trade fair for power transmission and control technologies in China. 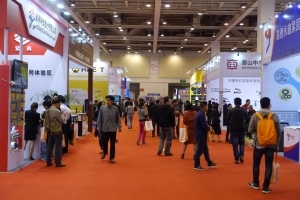 After 20 years of success, the yearly growth in both exhibitor numbers and show space has shown the fair the key platform for basic parts trading in Asian markets. CENS representative (right) with a foreign buyer at PTC Asia. 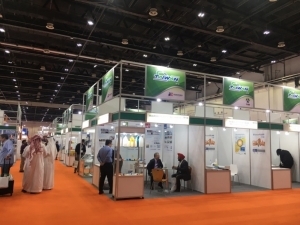 Since 2001, PTC has become an important venue for manufacturers of Asia's fluid power industry, who showcase new technologies and products of hydraulics, pneumatics & seals yearly to also set industry trends. This year the fair, held Oct. 27-30 at Shanghai New International Expo Center, Shanghai, China, attracted 73,079 visitors to see products across some 80,500 square meters shown by 1,208 suppliers, including such known brands as INA, FAG, Timken, First Bridge, PEER, GGB, Oiles, UBC, NKS, NKE, Redman, etc. 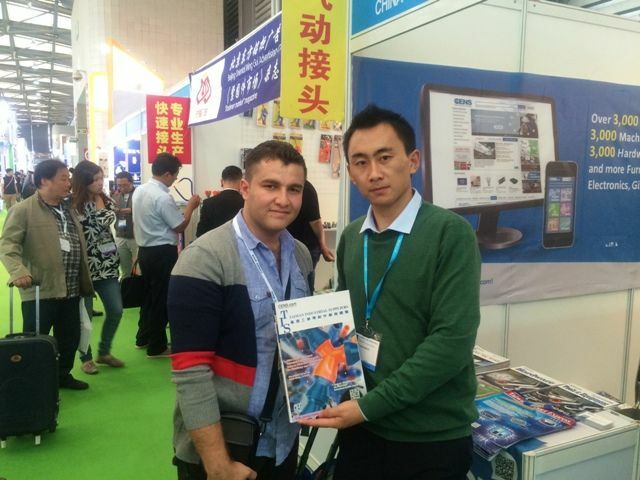 Foreign buyers browse CENS publications at PIC Asia. 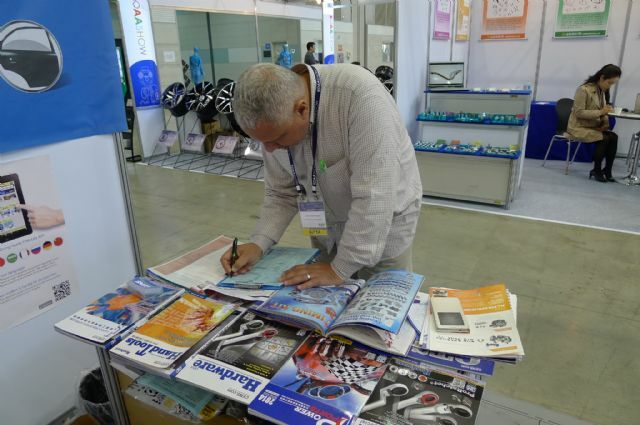 CENS sent a local representative to promote buyer guides, with Taiwan Machinery, CENS Hardware, Guidebook to Taiwan Hand Tools, and Taiwan Industrial Suppliers being the most popular among visitors and buyers. 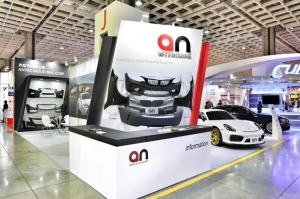 Korea Auto Parts & Auto-related Industries Show (KOAA) is the biggest automotive-related exhibition in South Korea, displaying products as auto-electronics, car care products and interior & exterior auto products. Foreign buyers browse CENS publications at KOAA. Held this year Oct. 28-30 at Korea Int'l Exhibition Center, Seoul, S. Korea, the show drew 18,024 visitors from 62 countries and 347 exhibitors from nine countries to showcase products across a venue of 22,000 square meters, where China and Taiwan were the only ones with national pavilions. CENS representative (right) with foreign buyers at KOAA. 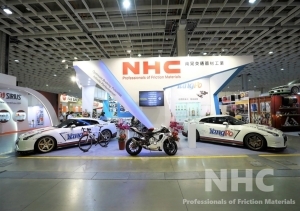 The exhibits were categorized into parts & components, systems & modules, accessories & tuning, tires & wheels, telematics, repair & automotive services, new technologies, auto parts production facilities and machinery, etc. A foreign buyer fills out CENS inquiry at KOAA. 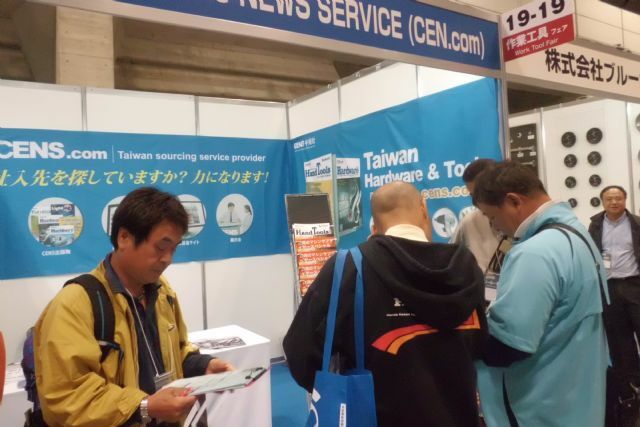 The CENS booth promoted a variety of sourcing magazines, capturing ample interest with Taiwan Transportation Equipment Guide (TTG), China Transportation Equipment Guide (CTG), CENS Hardware, and Guidebook to Taiwan Hand Tools. IPF Japan is the high-tech show held every three years, and is one of the most important shows to see the latest developments in plastic & rubber molding technologies. For many Japanese makers, the event is the showcase of new products development with its unique character attracting many visitors demanding advanced machines to mold precise plastic or rubber parts at competitive cost. IPF Japan 2014, held Oct. 28- Nov. 1 at Nippon Convention Center in Chiba, again grew in size and ability to help visitors see the world's latest plastic- and rubber-related products. CENS representative (left) with a local visitor at IPF. This year the fair hosted 778 global exhibitors who occupied 2,248 booths covering 54,000 square meters in eight exhibition halls. Both exhibitor and booth numbers were up from 751 and 2,217, respectively, of the 2011 edition. 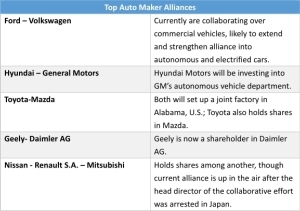 Japan's globally prestigious companies, including Mitsubishi Heavy Industries, Ikegai Corp., Matsui Mfg., Toshiba Machines, Sumitomo Heavy Industries, Sodick, and Fanuc, were present. 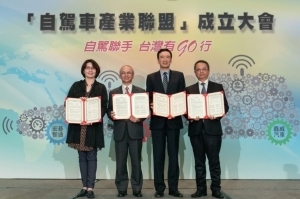 More than 40 Taiwanese exhibitors, mostly organized into groups by Taiwan External trade Development Council and Taiwan Association of Machinery Industry, took part this year, making Taiwan one of the largest exhibiting countries. CENS representative (left) explains CENS inquiry to visitors at IPF.